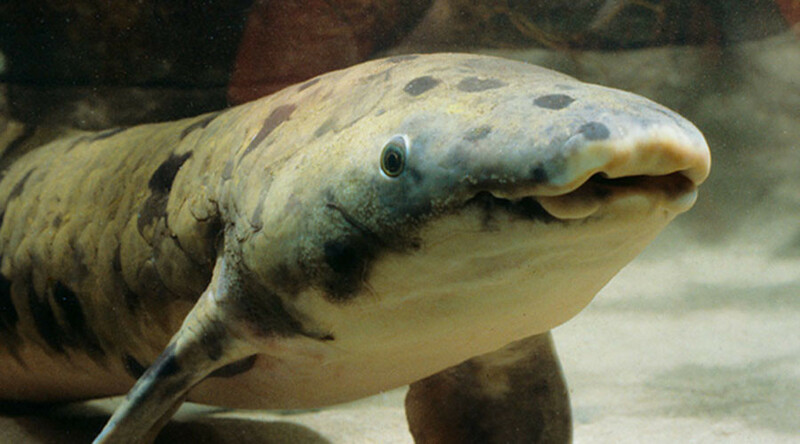 A 90-year-old Australian lungfish called Grandad, believed to be the longest-living fish in a zoological environment, has been euthanized in a Chicago aquarium. The lungfish was euthanized Sunday by an animal care team at the Shedd Aquarium in Chicago, where he has lived since they acquired him in 1933. Grandad was said to be in his mid-90s. — Shedd Aquarium (@shedd_aquarium) 6 февраля 2017 г. The team said they reached the “difficult decision” to end Grandad’s life, due to his rapidly declining health, in a statement shared on Monday. “Grandad was not only Shedd’s longest-lived resident but also the oldest fish in any public zoo or aquarium in the world,” the statement read. — Primitive Fishes (@PrimitiveFishes) 6 февраля 2017 г.
Grandad, who was “arguably Australia’s most famous expat,” was a fully grown adult when he was collected by Shedd in 1933 from Taronga Zoo and Aquarium in Sydney, Australia.